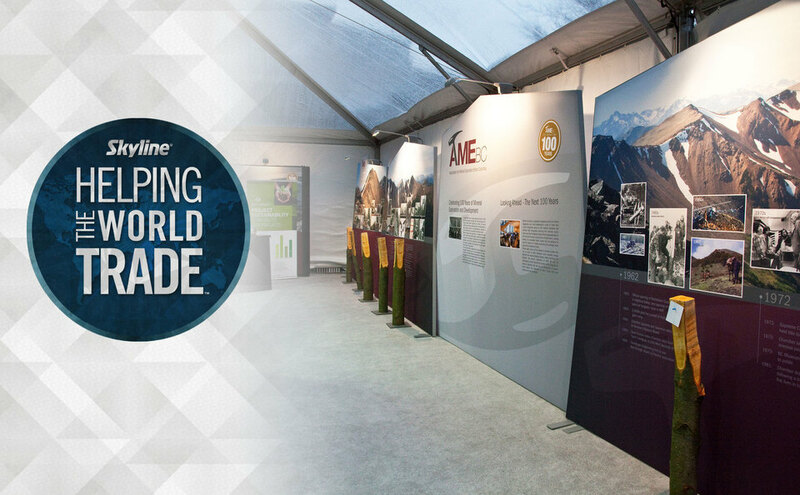 Skyline Exhibits has 8 Canadian locations to help you succeed with design, service, and high quality trade show displays. Made with lightweight and compact components, Skyline modular systems are designed for quick and easy installation. 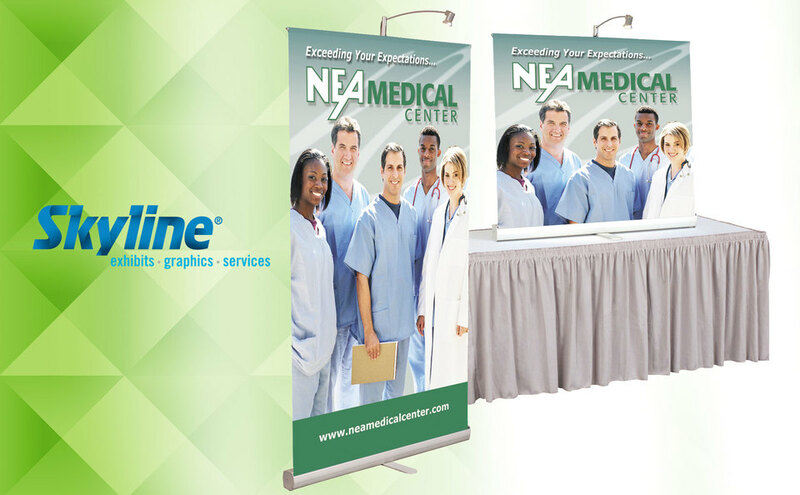 Portable displays are extremely cost effective while representing your brand well with top-of-the-line creative design. Island trade show exhibits provide maximum space to display your brand and interact with visitors. Portable trade show displays are durable and pack small, making them easy to store and transport. Since they allow exhibitors to lower their operating costs, portable trade show displays are extremely cost effective. Portable display systems will represent your brand well, with top-of-the-line graphics and creative design. Portable display systems that are available to rent or purchase include 10-foot displays, 20-foot displays, tabletop displays, banner stands, and more. Modular inline trade show booths are perfect for exhibitors who want to combine high quality design and structure to present their brand. Made with lightweight and compact components, Skyline systems are designed for quicker, easier installation than competing systems. 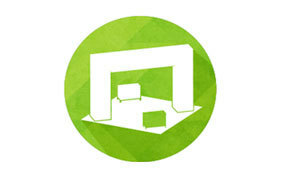 They are also conducive for booth accessories such as shelving, flat screens, and computers. Custom island trade show exhibits are best suited for industry leaders who want to make a statement with their presence. Ranging in size from 20' x 20' to 30' x 30' and even larger, island trade show exhibits provide maximum space to display your brand and interact with visitors. 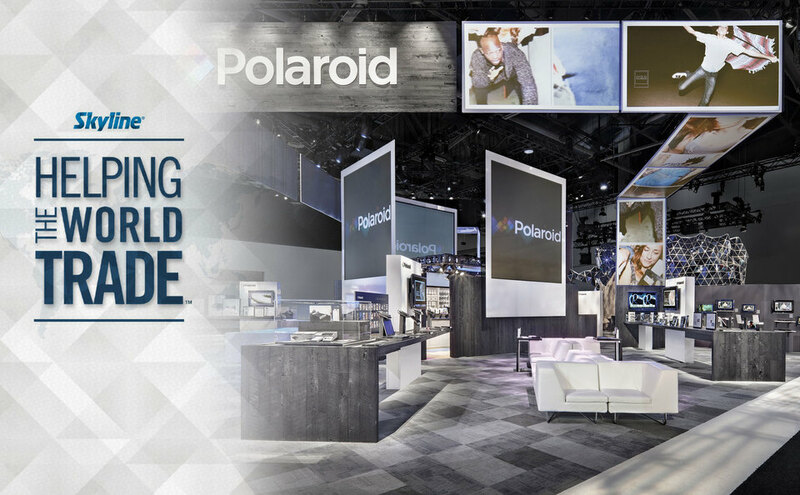 You won't find a better company to partner with for your custom island trade show exhibits than Skyline. 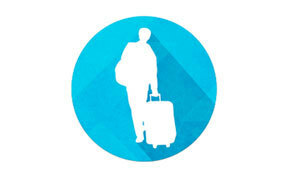 Renting is an attractive choice for many exhibitors, depending on their needs and frequency of use. We offer a variety of rental products, including trade show displays, trade show exhibits, and trade show booths. 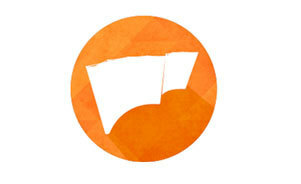 We will help you design a package that fits your company's needs and best represents your brand. 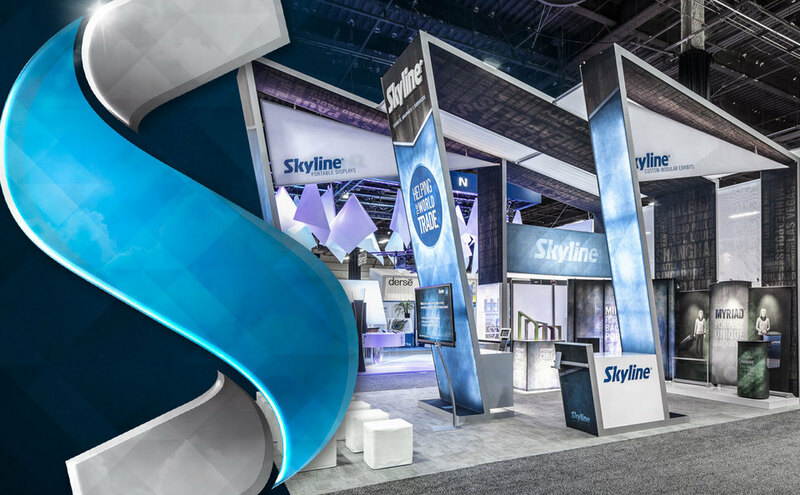 Skyline Exhibits has 8 Canadian locations to help you succeed with design, service, and high quality trade show displays. Our 8 Canadian Skyline locations are part of the Skyline global network of nearly 100 Design Centers in North America and representation in 38 countries around the world. Skyline supports its 8 Canadian offices from its 3,000 square meter Skyline Canada Service Center, located in Mississauga. Skyline Exhibits has 8 offices in Canada. (click here to find your local office).